Home Weapons Is Skyburner’s Oath The Best Exotic Scout Rifle? Skyburner’s Oath is one of the Exotics from the base Destiny 2 game. There are now four of these in the game in total, so we thought we’d take a look and see if it’s the best, or even compares, to the rest of the Exotic Scout Rifles in Destiny 2. The stats on Skyburner’s Oath are; 200 Rounds Per Minute, Impact of 60, Range of 46, Stability 55, Magazine 15, Reload Speed 55, and Handling 64. The hidden stats are; Zoom of 20, Inventory Size 60, Aim Assistance 90, and Recoil Direction 100. All of these are right down the middle of the stat pool, and that’s probably why this weapon is ranked #17 in PVP. Good but not anywhere near fantastic. Let’s have a look at the perks. The Exotic perk, Slug Rifle, makes the weapon fire large, heat-seeking slugs when firing from the hip. When aiming down sights, the slugs will travel faster and straight, increasing damage but lowering the rate of fire. This perk is pretty great because it can enhance your play style regardless of how you like to shoot. However, it does hinder those who prefer to aim down sights, so that might make it invalid as an option for you. 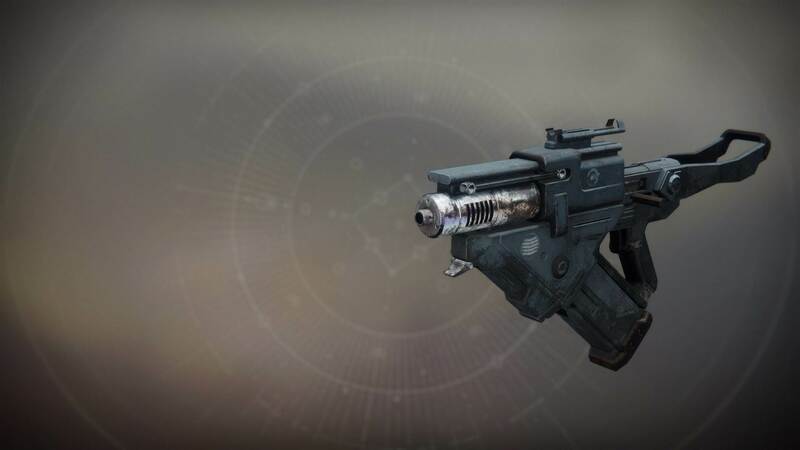 The rest of the perks on this weapon are; Extended Barrel, which increases Range and decreases Handling Speed, Extended Mag, which greatly increases Magazine Size, but greatly decreases Reload Speed, For The Empire, which makes this weapon fire in full automatic, deal additional damage to Cabal, and penetrate Phalanx Shields, and finally Short-Action Stock, which greatly increases Handling Speed. Overall the rest of these perks do build the weapon up to be something much better, but it’s still not at the level you’d want a fantastic Scout Rifle to be. When it comes to the competition the only thing this might beat is MIDA Multi-Tool, which has a couple of perks that give you radar while aiming and boost your speed. Skyburner’s Oath at least helps you deal additional damage in both PVP and PVE, but it could be more important for you to move just a little faster. When it comes to weapons such as Polaris Lance for example, which rewards additional ammo for skilled shooting and deals extra damage, Skyburner’s Oath can’t really stand up to it. Even Jade Rabbit provides a similar reward to Polaris Lance which makes it a little bit better, pushing Skyburner’s Oath almost all the way to the bottom of the pile. To conclude, Skyburner’s Oath is a good Scout Rifle with an interesting perk to aid you in both PVP and PVE. It may not be the best weapon for either but it’s still better than most. When it comes to other Exotic Scout Rifles however, this is in the bottom half of what’s available, and if you have a choice it might be worth opting for something else or waiting for a better option to come along.